Justin Thomas swapped putters at the Sony Open, but the new wand flew under the radar. The lack of news surrounding Thomas’ Scotty Cameron prototype is partly due to the similarities it shares with his previous X5 Flow Neck mallet. In other words, the change didn’t even register — unless you zoomed in. Upon closer inspection, there are a few noticeable differences, starting with the black face and topline that differ from the classic silver finish on Thomas’ previous putter. The black topline acts as an alignment aid next to the silver wings making up the head design. Justin Thomas began using a new Scotty Cameron prototype mallet in Hawaii. Thomas also appears to have gone away from the small slant neck to a more subtle shaft bend. He was one of four players who used a new Scotty Cameron prototype putter during the tournament. Thomas was the impetus behind Cameron’s retail Futura 5.5M, which bears a striking resemblance to his current putter. He ranked 43rd in strokes gained: putting in his first start with the new flat stick. Hideki Matsuyama’s run with a Ping G400 driver came to a halt at the Sony Open. Matsuyama returned to a Callaway driver, this time the recently unveiled Callaway Epic Flash. The driver has Matsuyama’s usual Graphite Design Tour-AD DI 8TX shaft, and the sliding weight positioned in a neutral shot shape setting. A couple of players in the field were sporting new apparel and/or staff bags — a sign that new deals have been worked out. Abraham Ancer was sporting a new Miura hat; Jamie Lovemark had a mixed bag of clubs paired with a Callaway staff bag; and Hudson Swafford’s Callaway staff bag was no longer present after signing a new deal last season. Scott Langley was unveiled as the newest PXG staffer during the Sony Open. Based on the 12 clubs and PXG hat Rory Sabbatini was sporting in Hawaii, the assumption was that he made the jump as well. – Going to assume based on @CallawayGolf bag that Jamie Lovemark found a new equipment home. – Abraham Ancer is wearing a @MiuraGolfInc hat. It was Nike last year. 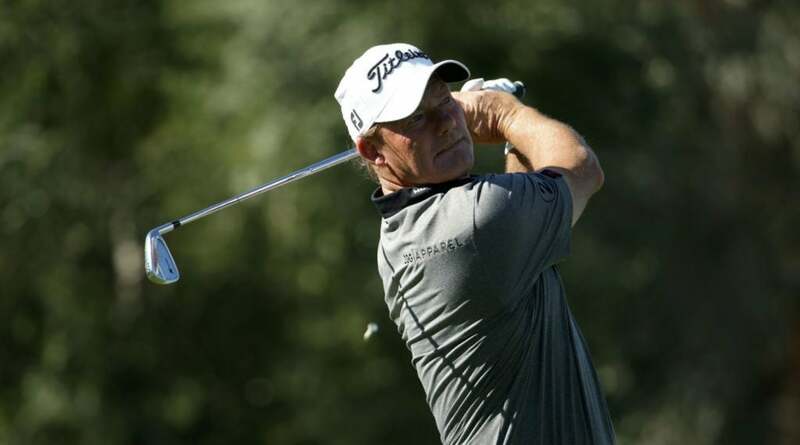 Sabbatini is currently playing the clubs and wearing the hat without compensation — a popular choice by many of the equipment free agents who enjoyed immense success on Tour last season. Sabbatini will be hoping for a similar outcome. Adam Scott didn’t bag two putters at the same time as he did briefly last season. The Aussie did, however, find a way to give two different putters a look during the first two rounds. 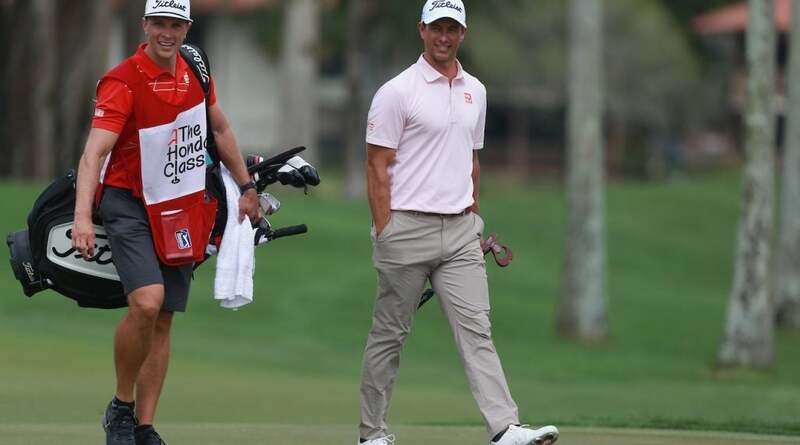 Scott, who missed the cut, still managed to make headlines by using a high-MOI Scotty Cameron prototype mallet on Thursday before switching to a Seemore Private Reserve Platinum M5x for the second round. The sight of Scott switching putters mid-tournament isn’t all that shocking. What likely raised some eyebrows was the fact he went outside the Scotty Cameron lineup to find another option. Scott has used Odyssey in the past, but this is the first time he’s ever been photographed with a Seemore in competition. The Mizuno JPX 900 Tour irons Brooks Koepka employed to win three major championships in the last two years could be exiting the bag. Koepka is reportedly set to use Mizuno’s JPX 919 Tour irons at the Abu Dhabi HSBC Championship. The irons, which still have his initials stamped on the toe, were spotted in his bag along with new TaylorMade M5 metalwoods. One of the trends to watch this year on the PGA Tour is the gradual acceptance of Ping’s Tour-only Blueprint irons. The better-player offering has a smaller profile than the popular iBlade and is already being used by Bubba Watson, Tony Finau, Louis Oosthuizen and other members of Ping’s Tour staff. That number is likely to grow as other iBlade users begin to test Blueprint. The latest convert is Harris English, who preferred the smaller profile to that of iBlade, and noticed a slightly lower ball flight with increased workability. Prototype season continued on in Hawaii with a larger rollout of TaylorMade’s yet-to-be-released Spider putters. Based on photos from TaylorMade Tour rep Chris Trott, Rory McIlroy’s mallet from last week is part of a much larger putter release that’s coming down the pipeline. It didn’t take Callaway’s Apex and Apex Pro 19 irons very long to become the company’s most-played model on Tour. Less than a week after they were introduced for the first time — and Xander Schauffele logged a win with the initial prototype set — Apex Pro found its way into Marc Leishman and Sam Burns’ bags. Kevin Tway found the perfect driver fit in Titleist’s TS3 during the offseason. The new Titleist staffer tested it against his gamer before heading to the Sentry Tournament of Champions, and noticed an uptick in not only speed but dispersion as well. Quick-Hitters: Plenty of players in the field received their first peek at Scotty Cameron’s new prototype putters. … Tommy Fleetwood was photographed with a set of TaylorMade “P-7TW” blades bearing Tiger Woods’ initials. … Callaway saw 21 players use the new Epic Flash and Epic Flash Sub Zero drivers in the first full-field event of 2019. … Titleist won the driver count for the first time since 2001. What the win could mean from a Tour perspective. … Jamie Lovemark is under contract with Titleist for the golf ball after playing it without an agreement for the last two years. … Andrew Putnam finally replaced his ancient Cleveland Launcher DST 3-wood with a 13.5-degree Srixon F85. … Jason Dufner opted for a Directed Force mallet. … Stewart Cink signed an 11-club deal with Ping.